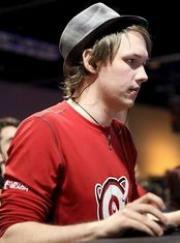 Kim "SaSe" Hammar is a Swedish player who plays Protoss in Starcraft II, and Night Elf in Warcraft III. He is one of few European gamers who lived and played WC3 professionally in China, and now lives in Korea for SC2. SaSe is presently ranked #1362 in highest overall earnings, and #83 in highest earnings for players from Sweden. SaSe had won $1,653.80 in cash prizes from 4 tournaments before he turn 18 years old. 2.39% of his total prize money was earned before July 12, 2005. The largest amount of prize money awarded to SaSe from a single tournament was $10,000.00 from IEF 2012 (StarCraft II) on November 3, 2012. His 1st place finish makes up 14.44% of his total prize money won.